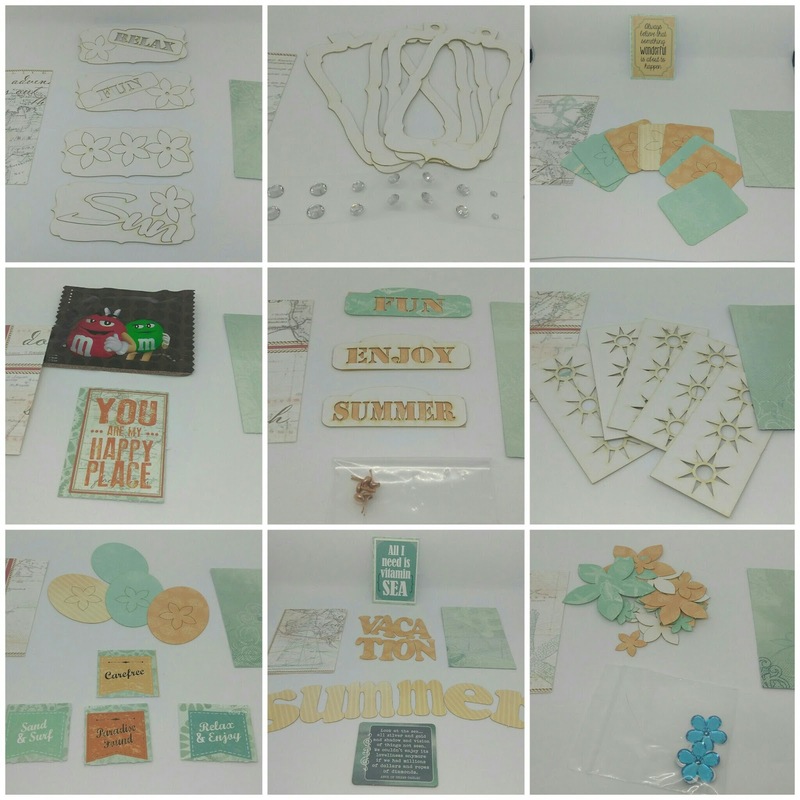 Blog Quick Quotes: Mixing it Up with LeeAnn! Mixing it Up with LeeAnn! Greetings friends and fellow crafters. LeeAnn here today with a fun way to use up some product and share with a friend. 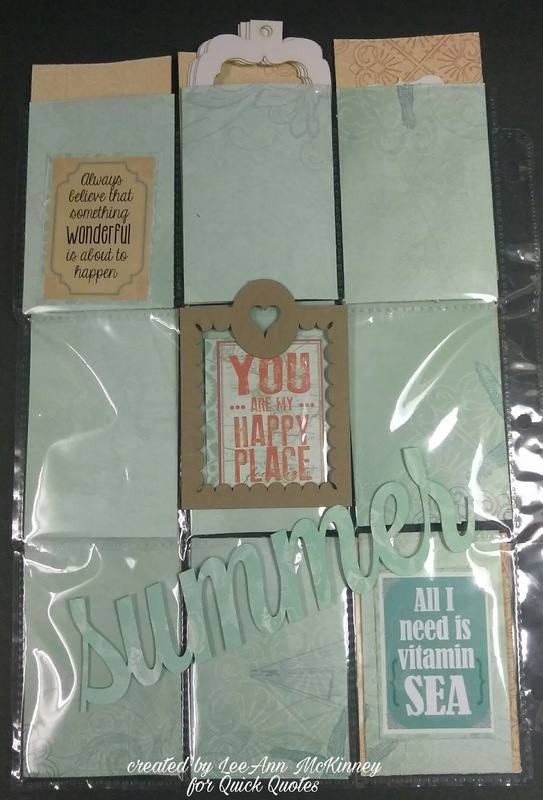 I am using pieces from the June Club Q kit along with paper from Adventure Awaits paper pack, Quotes and Phrases from Adventure Awaits, and Anchors Aweigh Chipboard Die Cuts. 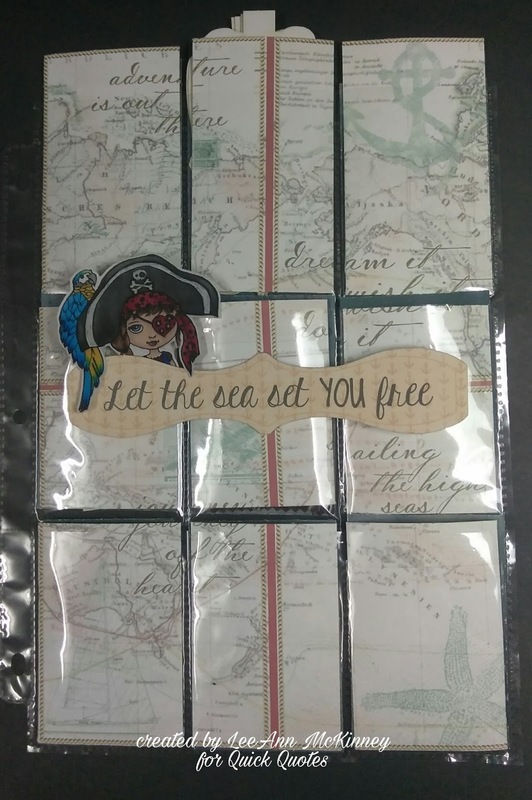 Using Adventure Awaits AD105, and AD100 I cut 9 pocket rectangles measuring 3.75" x 2.5". These are the front and back pages of the pockets. The front of the pocket is a sentiment from the Anchors Aweigh Chipboard Die Cuts, and another is in one of the pockets. After filling all the pockets with fun items from the June Club Q kit that I had left over, I then added the chipboard sentiment on the front, along with a cute little pirate girl. I printed the image with my Canon Selphy printer and cut it out with my Scan N Cut. This project is being sent to a friend who just returned home from her first visit to the beach in her life. I am sad she did not choose to visit Florida for that trip, but from what she has said she had fun none the less. She is also new to scrapbooking so this I thought would be a great way to send her some supplies.